10 tips to keep your boardroom from becoming a bored room. 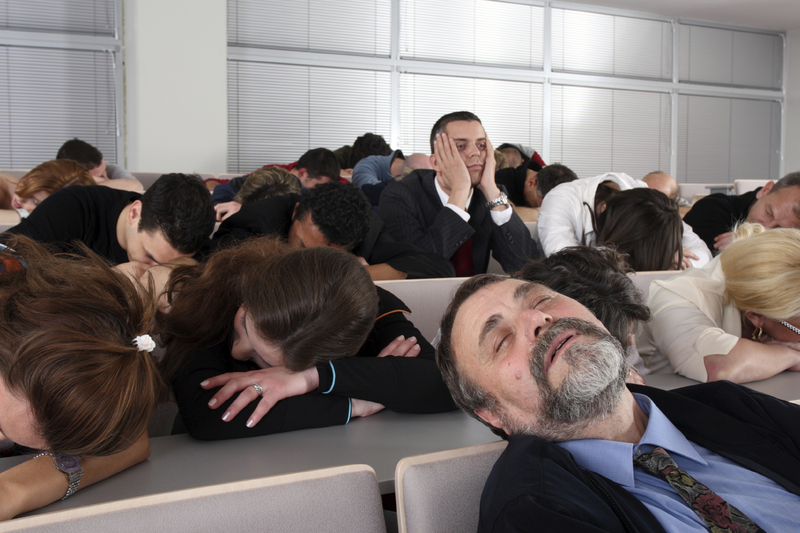 Do your meetings make create boredom? Lead with a variety of presentation methods. Too often meeting become boring because they become predictable. ONe sure way to spice it up is to change your presentation techniques. Don’t get stuck in a rut of talk, talk, talk. Instead use audio/video, games, panel discussions, Q & A session and more. Generally speaking boredom sets in because individual feel disconnected or outside the meeting. By drawing them into participation they must be attentive and because they are sharing they feel that what they have to say is valuable. Involvement keeps people present. A key killer to successful meetings is lack of purpose. If the meeting carries on without a solid focus people quickly lose interest and become lost. These two points sabotage productivity, because they take away the clarity of what should come after the meeting is done. Meetings do not need to be long. Too often people equal the word meeting with a meeting of length. A lot of ground can be covered in a short period of time if the meeting leader is prepared and understands the outcomes they are looking to achieve. By making the meetings shorter the attendees are more likely to give you their undivided attention for the complete duration of the meeting. Along with this point be sure to start and finish exactly on time. One of the best meetings that I ever attended was one I attended about supporting the local Children’s Hospital. Rather than conduct the meeting in a board room we conducted parts of it in different areas of the hospital. By the end of the 30 minute meeting all in attendance were convinced of the importance of their cause. Often venue can do as much to inspire as does the leader. Often times guest speakers provide an outside credibility that a face we see all the time cannot. In addition, often there are outside speakers who can bring a highly level of insight and expertise to a topic that we may be incapable of delivering. Since meetings have such a high impact on the success of our organizations we should be dedicated to making our meetings the best they can be. Too often meetings become monotonous because they are predictable. There is no harm in changing the sequence of the agenda to stir up a bit more excitement. Preparation is the key to creating meetings that work. When a meeting leader is prepared the meeting will have a flow that will keep the participants engaged. When unprepared leaders need time to sort out their thoughts they loose the focus of others. In the evaluations we do of meetings within companies two major sins are topic twists and chit-chat. Topic twists are introducing multiple topics before completing the initial topic and chit-chat is any socializing, stories or comments that are not relevant to the topics at hand. Both of these errors tend to take away from the effectiveness of meetings. How you begin will set the pace for the rest of the meeting. Your first 90 seconds are crucial. It is a great time to put everyone at ease and give some direction and goals to the meeting. As a second point, it isn’t enough to have a strong beginning. You must deliver what you promise in the beginning. For more about creating better meetings in your organization call 1-877-393-9496. At first glance it would seem that meetings have a little value at all and really don’t contribute much to organizations. One might even question why some organization would go through all the expense and effort of holding meetings if all the participants achieve out of it is learning how to make an ‘S out of a bent paperclip or are trying to time the finish line to match the capacity of their bladder. But meetings have a greater purpose and when they are used correctly they can catapult an organization to new heights in production. When used effectively meetings can multiply production, solve major problems, implement time saving systems, protect against failure and arm your team to beat out your competitors on every level. The difference between meetings that matter and meeting that are monotonous and boring is in your hands and today I want to share a few thoughts that will help you create better meetings. 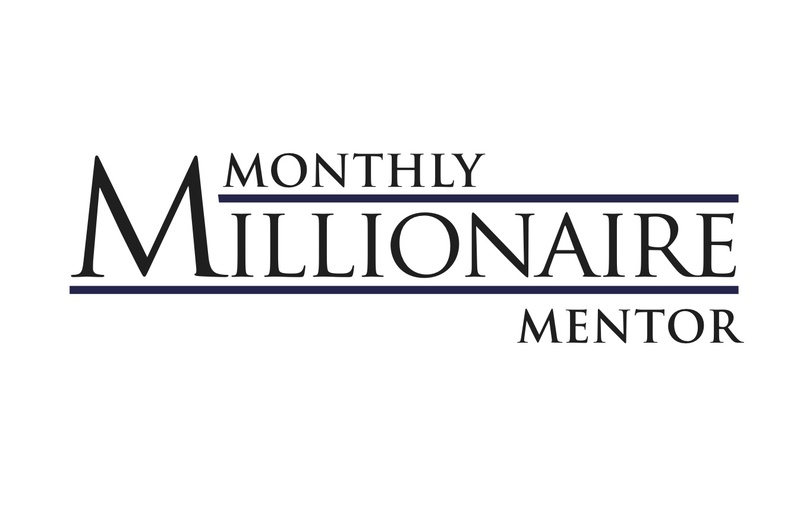 Meetings that motivate and inspire others to support you in achieving your goals and purposes. I have identified 12 keys to creating effective, powerful and memorable meetings that change organizations. Today I want to share 3 of these keys with you to help you make better meeting right now. Key 1) A reason WHY. Meetings were not designed as an opportunity to skip work, or to fill time or to gossip and socialize. Meetings were also not designed to be a thing to dread or complain about. Although for some this is what they have become. Instead meetings began with purpose and when used correctly meetings can be one of your most powerful tools. Meetings in fact are the forum where company growth, higher profits for the company and bigger paychecks for the employees are all created. The WHY of meetings is perhaps the most important question you can ask and answer. When that question can be answered with an answer that really means something both to the organizer of the meeting and those attending the meeting the meeting becomes a setting for incredible change and progress. So before you call that meeting ask these two questions: 1) Why do I need to call the meeting? 2)Why would those in attendance care? or what would it mean to them. If your reason for the meeting isn’t good enough then maybe you don’t need the meeting. But wait, you may be thinking. My supervisor wants a meeting, or we need a sales meeting once a week so people can report. I can’t just not have a meeting. I have to go through the motions regardless of how I feel about it. If it was my choice I would cut these meetings out all together. If that’s how you feel about it and if your meetings are indeed mandatory, and you can’t cut them out – then you need to change the content and presentation to focus on the WHY. If the meeting isn’t important to you it won’t be important to the attendees. If you want to see progress in your meetings you need to change the feeling of your people to those meetings and it begins with you. Connect your meetings to the real reasons why and you will notice a shift. MAke your reasons why clear and specific, think of what it really will mean to the company, yourself and those in attendance. 1)Why do you need to call the meeting? 2)Why would those in attendance care? Naturally when you are inviting people to attend the meetings you will want to make sure that those reasons WHY are expressed. Express them before the people arrive. Let them know in advance. If the reasons WHY is strong enough you will begin to find people actually looking forward to attendance. One simple success strategy that has helped to bring meetings alive is to give them a name or a title based on the reason why. Kind of like a headline in a newspaper. “Discover how the company wants to increase your benefits.” or “Discover a new tool that we want to give you to grow your sales.” or “Learn why we changed product XYZ and how it will make your life easier.” Often times when expectation and anticipation for a meeting is created the tone of the meeting is set before it even begins. Again, try and discover the reasons why, both for you and the attendees. Even with a strong reason why your meeting can have some challenges. Key 2 – Variety and involving others. Another meeting killer is monotony within the meeting or a lack of variety. The majority of meetings that I am invited to come in an fix go like this. People arrive and mill around the room. The leader arrives, people take their seats. He begins to talk. About ten to fifteen minutes into the leaders talk, the audience begins to fades and the leader carries on for another 50 minutes or so to a group that feigns interest. But the reality is inside they are yearning for the meeting to end, they are watching clocks, doodling on their notepad, day dreaming about the weekend past or the weekend coming. As they sit in the room the only thing there mind is searching for in the leaders dialogue is the green light cue that the meetings over and they can get started with whatever activity they need to do next. What killed the meeting? There are two things that kill most meetings. Both of these tools require preparation and consideration before the meeting. Preparation and consideration take time and effort. Maybe that’s why these tools are not employed as well in meetings as they ought to be. These two tools are variety in presentation and involving others. Variety in presentation essential means finding a variety of methods to share your content with the participants of a meeting. In some ways this is similar to how a good teacher would teach in a classroom setting. On some occasions she might illustrate something on a chalk board, other times she may have a story to illustrate the point, or an activity, or visual aids, maybe even music or a video clip. Preparing variety to help you present in a meeting does take time but it pays big dividends. Variety creates meetings tat are looked forward to and highly memorable. Variety can also provide a mental hook or an activity that can be specifically remembered later on once the participant is back in the field. Early in my sales career I worked for a door-to door pest control company in Southern California. Every day we would have a sales meeting in the morning to get people ready to go out and start selling. 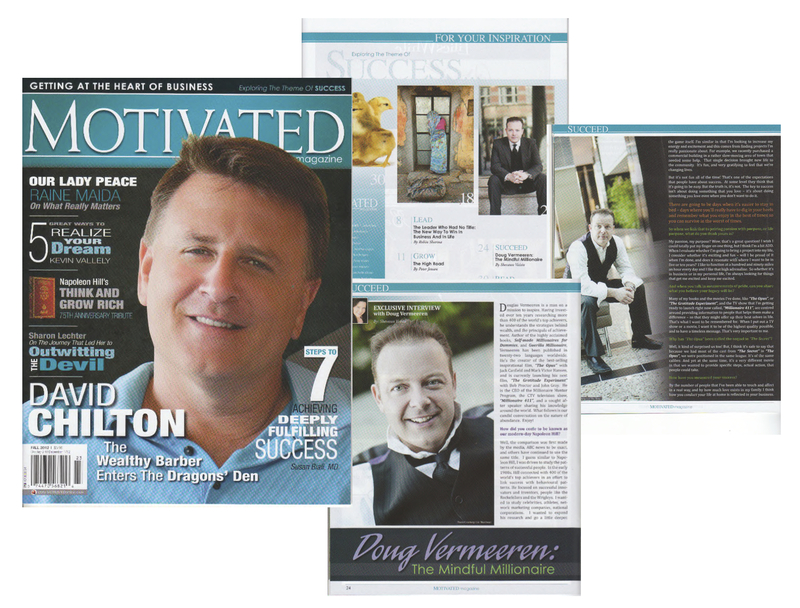 Often our manager would describe sales incentives or bonuses available to us with the help of a picture from a magazine. As he showed us the pictures he would sometimes play music with it. It created an exciting energy around the opportunity. At first I thought it was kind of silly and embarrassing. I remember one morning in specific that the manager showed us a photo of the prize for the week and played the song Eye of the Tiger by survivor at the same time. He stressed that in order to win we couldn’t back down, we needed to push hard and work hard. He even had a few of the people in the group do some push ups and sit ups. I thought this idea was the silliest yet and I probably rolled my eyes and started to giggle. But my lesson would soon come. Later that day I heard something that caused me to rethink the idea. In fact, it was so impactful on me that after seeing this I decided I would use this technique myself when I had the opportunity to lead. Here’s what I saw, As we were out knocking on doors later I saw my partner rushing from door- to-door to get in all the customers he could. He was exhausted yet there he was singing out loud the Bonus song, The Eye of the tiger. Having that anchor kept him going long after the meeting ended. What variety can you bring into your meeting that will power up your teams long after the meeting has ended. Again this kind of variety requires time, preparation and consideration long before the meeting begins, but it pays big dividends. The second part of this suggestion on how to avoid killing your meeting with boredom includes involving other people. As we talked about in the earlier example, many meeting die the slow death, with the leader giving a long lecture on do’s and don’t and sharing a long tedious list of company directives. That is a recipe for instant boring. Just like with variety, this suggestion also requires preparation and consideration ahead of time. Both of those things require time. But it is well worth the investment. This second tool is to actively involve as many people as possible in the meeting. In some ways this is another form of variety, but I think it’s so powerful it needs to be addressed as a subject in itself. Involving others can take many forms. It’s most basic form is asking questions of the group and giving people a chance to respond. It can also involve asking for comments, feedback and suggestions. Those are great starting points. But I believe there is room to go even further. Why can’t you work with someone in the group to present part of the information, or work with someone ahead of time to prepare a report, or get a group to do a role play on solving a discussion point. One of the most successful meetings I had involved having a member of the group prepare a series of funny video clips to illustrate the incorrect way to complete a task. By involving others they begin to take pride and ownership in the meeting. As they feel they are making a difference within the meeting they begin to really believe that their contributions can make a significant difference to the organization outside the meeting. Again, remember the goal isn’t to entertain – it is to get results in the real world. But real life has proven that if the meetings have some power to entertain that the results in real life will come. Key 3) Time. This last suggestion can also require a lot of preparation ahead of time, but more important to preparation ahead of time, this one requires focus and self discipline to implement in the meeting. When the meeting is running it is very difficult to lose track of time and time flies so quickly. But time is an important consideration. In a recent study on effective meetings and how to create them it was discovered that the number challenge that attendees had was that they felt like time in meetings was no properly used. some of the complaints were that meetings started late, ended even later and that the time in the meeting wasn’t used effectively. Many reported that because the experience of poor use of time was repeated again and again that poor use of time is what they had come to expect. In other words, they too showed up late and some admitted that they threw away the remainder of a morning or afternoon because experience told them that they wouldn’t be getting out of the meeting on time anyways. The tone for the entire company is set in the meetings and trainings it provides. If an attendee to such a meeting doesn’t see that use of time and material shared in the meeting are crisp, clear, productive and results driven the habits of crisp, clear, productive and results driven will not show up in their efforts outside of the meeting. So how do we improve on the principle of using time. The simple answer is start on time, end on time and use the time in the middle effectively. Start with that and you’ve gone a long ways to creating happiness in your meeting. The first one. Meetings don’t have to be an hour. Whether it’s a group training meeting or a one-on-one sales visit. Meetings don’t have to be an hour. We have been trained from our school days that each class period is an hour and so we feel that our business meetings should be the same. Generally speaking if you allow something an hour to be completed it takes an hour, if you allow three hours it will take three hours. The most successful leaders know this and so they often cut short the time needed to smallest possible amount of time to do a thing right. Again this is why it is so important to prepare and plan ahead of time. As I completed my studies on the most successful people in the world, I was surprised at how carefully they guard their time. And when it came to meetings there were rare occasions when a meeting would reach one hour. Their meetings ranged from 10 and 15 minutes, to longer meetings of 45 minutes. You don’t need a hour when 45 minutes will do. And this is really where the idea of self-discipline comes in. Most hour meetings will come in at around 30 minutes to 45 minutes if those presenting and those participating stay focused. I was recently invited to attend a company meeting that was looking for ways to improve their meetings. I brought with me a checklist that I use to evaluate what companies are currently doing in their meetings and how they can make some immediate improvements. The biggest improvement tis company was looking for was to make their meetings more effective and do them in less time. It was reported that their regular “one hour” meeting was often taking an hour and a half, sometimes even two. meetings in this company were dreaded and progress seemed to be stalled. I was called in to evaluate and get them back on track to productivity. The meeting started fine and I took out my checklist. On the checklist are a list of common mistakes made in nearly all meetings. Each time I identify one of the challenges I put a checkmark next to the column associated with that challenge. Some challenges obvious are scored differently because some of these challenges create more problems for the meeting. One of the challenges that I score high is what I call ‘Chit-chat.’ ‘Chit-chat’ doesn’t just refer to personal socializing within the meeting, it also deals with any issue (company business or otherwise) that doesn’t relate directly to the purpose of the meeting at hand. This is a serious offense for the meetings that I critique. The reason why is that not only does it steal time but it also dilutes the clarity and main objectives of the meeting. In other words, when you talk about so many trivial things the main thing often gets lost. And when people don’t know what the main thing is — they can’t act on it. It’s as simple as that. A stronger offense on the checklist is what I call a ‘Topic Twist’. This occurs when the main thing ceases to be the main thing. Often it is the combination of a ‘Chit-chat offense. So as I sat there with my checklist I began to listen. The meeting leader welcomed everyone and started on his introduction of the first topic. Inside of 30 seconds I had my first ‘chit-chat’ checkmark. Then another, and another, then a topic twist and so on and so forth. At the end of the meeting, which went over this time by 15 minutes I took some time with the participants. They were confused and irritated as they kept eying the clock. As I later calculated there were over 25 Chit-Chat marks and 7 Topic twists. Each chit-chat mark was a minimum of thirty seconds and averaged about a minute. By eliminating these segue ways the meeting time would have been reduced by close to thirty minutes. That would put us right around the sweet spot of 45 minutes. 45 minutes is a good number. The other reason I like it has a little to do with brain science. A recent study demonstrated that the average adult person has an attention span of approximately 7 – 8 minutes. You’ve probably heard that in conversations there is often silence about every seven minutes. Well neuroscientists studying attention span feel that has something to do with this 7 – 8 minute rule. If we average at 8 minutes that means that in 45 minutes if you are precise you can cover around 5 topics. leaving a little time for an introduction and conclusion to the meeting. That is a solid rule of thumb. 5 topics covered and covered well. Again selecting the keys and most valuable topics does require time in preparation. But it is well worth it. Try to limit the number of points and make them powerful. If you try to do more than a few you may find your people confused and confusion equal non-production. To conclude with this idea about time I want to share a technique that I often use in one on one meetings, yet this could also be used in larger group settings. It begins with the timer on my smart phone. If the person agrees then all is perfect. If they figure that more time is needed then you may have to adjust accordingly to a time that you both can agree on. Most people agree that 45 minutes is ideal. I then pull out my smart phone and open the timer. I set it for 45 minutes. I then place it on the table and say: “Let’s use a timer to keep us on track.” And then I start into the meeting. Again when the group is larger I do something similar. I let the ground know that I feel we should be in the meeting for 45 minutes. I also show them that I am setting the timer. I have found by using the technique all my meetings, whether in group settings or with individuals seem to be more focused and productive. All involved realize that there is no time for chit-chat or topic twists. We stay on track and focused. And the funny things is not only do end on time but we generally finish a little bit early. You might be wondering does this stall or limit participation? You’d be surprised that it doesn’t. In fact, it makes the participation better. Because if people have questions or concerns to share or discuss the issues that are raised are now focused razor sharp on the discussion points of the meeting. There is no side tangents or long stories. The comments are more precise and everyone is much more focused and involved. Those are three of 12 powerful keys for constructing and conducting meetings that matter. Meetings can be wonderful. 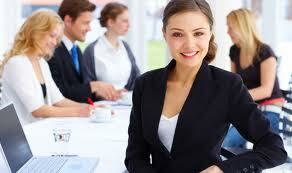 The effectiveness and productivity of a meeting will increase the effectiveness and productivity of a company. It is in meetings where problems are solved, productivity are increased, systems are introduced, training is increased and you are given the edge over your competition. In short, powerful meetings make for profitable companies. If you would like to learn more about the 12 keys to constructing and conducting meetings that matter please contact us at 1-877-393-9496. These keys work wonders in every setting from one on one interviews and sales presentations all the way to negotiations in big board room presentations. The bottom line is that effective meetings equal increased results. And each of the 12 keys to constructing and conducting meetings that matter are calculated to help you get more from your team, help your team reach higher and say focused with the goals that really matter. If you’re like me meetings are a part of your everyday life. You attend meetings through out the day at work, meetings with your team, meetings with you boss, a sales presentation, a meeting with a client, you might even attend meetings during the week outside of work, for your church or for a community organization. And at home there will be even more meetings waiting for you as a spouse needs to discuss a child’s behavior, the family budget or an upcoming holiday. Meetings are all around us. While some meetings are more formal than others, the quality of any organization is amplified or diminished by the quality of it’s meetings. 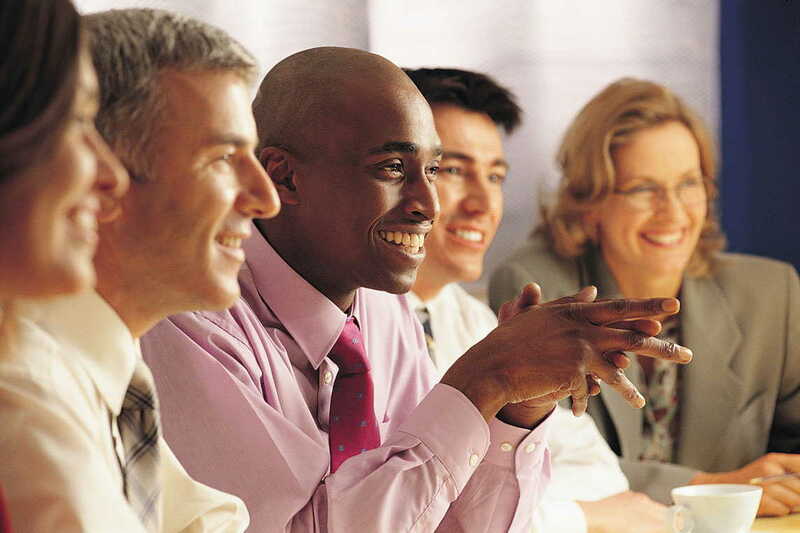 Prepare – Preparation is an important factor in creating successful meetings. Too often most people limit their view of what a meeting is. They think it consists of a beginning and middle and an end. They often assume that just showing up and getting into the groove of things as the meeting begins will create fantastic results. While we don’t have time in this setting to share all the elements of a correct meeting, let me add one significant addition to the beginning, middle and end tradition. That addition is preparation. Preparation can take place in many ways. It can cover everything from establishing a venue, to building a power point presentation, to inviting attendees and so forth. The one element of preparation that I would like to focus on in this conversation is simply think about what you want to accomplish at the meeting, prepare how you will present your position and determine ahead of time what success looks like. If you go into the meeting knowing what you want, prepared with a way to discuss what you want your chances of getting it increase dramatically. As I have met with business leaders and high level executives through out my business career I have found one common thing amongst them. They don’t have time for chit chat and to fiddle around an idea before getting to the heart of a matter. If you are not prepared for a meeting you often don’t get a second chance. And if you are supposed to be a leader of people, yet you continually conduct meetings without preparation you will soon find people less than eager to attend your meetings. Yet if you are prepared ahead of time and know precisely what you want you will gain the respect of others and the next time you call for a meeting those attending will know that they can count on you to be prepared and the time will be worth while. Action point: Prepare ahead of time. Make an agenda or even a meeting plan that can keep you on track with the most important issues. And if you are a meeting attendee make notes ahead of time in regards to things that you want to address or have questions about. it’s always a good idea to share those questions prior to the meeting with the group leader so these can be addressed. Use your time well – Of all the resources we have as humans, the most fragile and difficult to replace is our time. As far as meetings go the idea that ‘if you plan to use three hours for a meeting, it will take three hours’ is true. It is important to remember that the amount of time you spend in a meeting isn’t what makes the meeting successful, rather meeting success is measure by what is accomplished. Often times the most difficult issues do not take long to solve when the attention of a group is focused and concentrated. How you use your time in a meeting also sets the pace of everything outside of the meeting as well. If leaders show that they understand the importance of time in the meeting they train their teams to respect time outside the meeting. Always start and end on time. If something wasn’t covered that needs to be covered schedule a second meeting in the near future. in my experience with meetings I have found that once a leader violates a commitment to keep a meeting within a specific time frame he begins to lose the trust and confidence of his team. Here are two suggestion to help you keep on track with time. In meeting agendas I try to assign the discussion topics a specific discussion time limit. I assign a team member to watch a timer and keep us on track. With the items listed in priority the most important issues are addressed and solve first. The second suggestion in regards to time is to have every keep time. At the beginning of a meeting it is a fantastic idea to have everyone pull out their smart phones and set the timer to countdown the time of the meeting. This let’s everyone know you mean business, time is valuable and is a subtle way of reminding people to keep their thoughts and comments on track. Time is valuable. How you use it will teach others much about how you do business and take care of other things in your life. And no… Meetings don’t have to take an hour. That feeling of having hour meetings is a left over from our days in school. School classes were an hour so most people feel that a good meeting ought to be the same. My most effective meetings are 15 minutes for small issues, 45 minutes for larger issues. Aiming at under an hour also changes the way our brain thinks about communication. For some reason in our minds there is the idea that an hour is a long time and so most people are a little more casual and chatty in an hour meeting, yet just a small shift to 45 minutes makes us a little more careful and we focus more carefully on the heart of the matter. Take notes – Naturally we’ve all heard about how taking notes increases our ability to recall and remember information. You’ve also probably heard about how writing things down in a meeting shows respect to the speaker. You may even have thought that by writing things down you are creating a great record of your groups minutes. All of these things are true. But I’d like to add one more than is important to consider in a meeting setting. The principle is called ‘Group Awareness.’ Group Awareness is a principle of accountability. If a concern or suggestion is brought forward in a meeting and no one cares or shows interest, the possibility of something happening to solve it or address it diminishes. By creating group awareness a subtle pressure is created in the group. If someone commits to do something or finds an answer and they see that a note has been made of it they are now more likely to follow through. And naturally if that person in the group see you taking notes on their commitments too they will also make sure they have it recorded correctly. And when people feel that their commitment to perform has been noted their performance usually happens. Taking notes in meetings is a must. I still remember the first significant full day meeting I went to as a 19 year old. I did not take notes in that meeting. I did not even have a note book with me. The leader of the meeting afterwards mentioned he noticed that I didn’t have a note book with me. He didn’t ask me why there was no notebook, instead he asked what did I learn today. As I looked through his notes, I remembered things that he had talked about that I had forgotten. some of the things that he had talked about were not only important to our organization, but personally important to me too. As I read the notes my leader gave me I made a commitment to take notes in all meetings I would attend forever after. Make specific arrangements for follow up – One complaint I commonly hear about meetings is that there seems to be a cycle of discussion and resolutions, but once outside of the boardroom nothing happens. Because nothing happens people get discouraged and begin to question the point of meetings at all. When tasks assigned are specific and clear they become much easier to complete and report on. Clarity is key. These objectives should also be correctly sized. If something is too big it can be overwhelming. If it is too small it can be simply forgotten. It should be something that can be accomplished in a reasonable effort and reported back to the group. It should be clear what is expected and also how the report will be returned to the group. Reporting and follow up should be prompt. In many of the meetings I attend I try to avoid having the report take place in the next meeting. Firstly it does take up precious meeting time. But more importantly as time passed between the assigned task and the time to report it enthusiasm also passes. If follow up is arranged to take place quickly after the meeting then chances are more likely that the task will be complete. General the most effective way I have seen to conduct reporting like this is to have the group leader connect by phone with the person completing the task and then to email or text all in the group to inform them of the results. If the task did not go smoothly, report that as well. But try to find the positive in the outcome. Always be wise enough to accept the best efforts of your team and provide additional support and help where needed. If you report back the failures and frustrations you will soon find your team will discontinue to function as a team and the progress will stop. Here is a sample text I set out in regards to a challenge that one of my staff had. (Names changed to protect my friends.) “Hey Everybody, Nick has bumped into a challenge with finding a way to ship our packages for event in Las Vegas. Does anyone have any thoughts on another way to solve this or help Nick get this done quickly. Contact either myself or Nick if you have some ideas. Thanks everybody.” You’ll notice that the blame for the incomplete task doesn’t put the blame on Nick and it also doesn’t take the task away from Nick. Instead it invites the support of others and continues to demonstrate respect and confidence in Nick’s ability to get the job done. I hope that these four suggestions have been useful for you. Please pop by again for more tips on how to have more effective meetings. This Article may be reprinted without permission as long as the writer credit appears along side the article.